>> MTN to Airtel network. >> Etisalat to Glo network. >> Glo to Airtel Network. >> Airtel to Etisalat network. To clarify all on what “Airtime Transfer” is all about, now read on. Airtime Transfer is simply one of the means of topping up your specific Network Account balance, instead of recharging through dialing of Scratch card PIN or airtime serial number on your mobile phone. In other words, the transfer can be from your friend’s line to your own number, whether he/she is using same Network service provider with you or from one different service provider to another network provider, example; MTN to Etisalat. As you may know, this post is based on the Transfer codes for the four major active telecommunication Networks in Nigeria, which include; MTN, Airtel, Etisalat, and Glo. And as they are different, so are their services they render different also. Although, the services they render are almost the same thing with each other, but what differentiate most of their valued services is “the name they gave it and different codes to activate” Like MTN network, named their own Airtime transfer service to be used by customers as, “MTN Share and Sell”. For Etisalat network, they called their own “Etisalat Easy Airtime Transfer” and the last two which is Airtel and Glo network, is sharing the same name, and it’s called “Me2U”. Now, having known that, these network operators operate under various terms which are needed to be followed by any subscriber that intend using the services they offer. You should also know that, transfer of Airtime or credit is not only done with codes, you can as well transfer airtime through different Mobile Banking Apps provided by the following banks; (FCMB, UBA, ECO Bank, Fidelity Bank, Zenith Bank, First Bank, Diamond Bank, Access Bank and most of the micro finance bank etc,) also through the Automated Machines ATM Cards, online top-up, VTU, YourVerveCards, etc. Before Proceeding to the various ways on how to carryout transfers on the four major listed telecoms in Nigeria, here are the major frequent asked Questions that this post has solution for. How can I transfer Airtime/credit from one network to another? 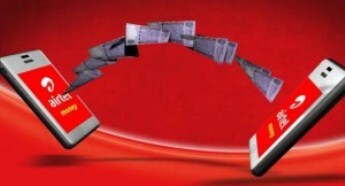 How can I transfer credit on Airtel? How do I transfer credit on Etisalat? How do I transfer airtime on Glo? How do you transfer MTN airtime? How can I transfer credit on MTN? How do I activate MTN share and sell? What is the meaning of MTN VTU? 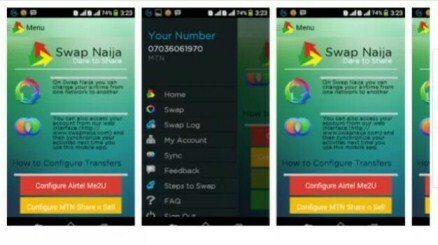 How to transfer with swap naija apk app? What is the USSD CODES for Transfer on MTN, GLO, Airtel, and Etisalat? HOW TO TRANSFER CREDIT/AIRTIME FROM ONE NETWORK TO ANOTHER USING SWAP NAIJA APP. Like I said earlier, with the use of SwapNaija transfer app for both Android apk users and iOS like iphone/ipad, you can be able to transfer credit from one network provider to another network provider without any issue or problem. But note that, every transfer you make, there is 10% fee attached to it. For example, if you want to transfer airtime to your friend using another network provider with the sum of N1,000, then what your friend will receive instead of the 1k is N900, as the 10% has been deducted by Swap Naija for the stipulated transfer charge fee. >> Download Swapnaija app for Android from GooglePlay Store here. >> iOS users, download here. Their service is actually straight forward, as it doesn’t require dialing of USSD codes or sending an SMS just like other networks. All it needs is to download the application alone and then configure/set up your own account in the app just with the mobile network you are operating on. After that, proceed to click on “Swap” icon and filling the necessary details of the person you wish to transfer the credit to. That’s all. For further information or to access your account online, you can do that via their website at www.swapnaija.com. Frequently asked question page about Swap Naija App. Now next, is how to transfer from one number to another on a particular network that is from MTN to MTN, AIRTEL to AIRTEL, ETISALAT to ETISALAT, and GLO to GLO. Now scroll below to your own network provider share and sell. If you are using this MTN share and sell for the first time, then you need to create a PIN which will be used anytime you wish to carryout transfer transaction. The PIN is actually a four (4) digit numbers, and it’s regarded as your secret pin. So you are meant to secure it very well, because anyone who eventually accesses it can transfer airtime on your phone without your notice or consent. Every first user to MTN share and sell is assigned a default PIN of 0000, so in other to use the service, you need to change the default transfer pin to your own secret pin. So in other words, you can change the Default pin through sending an SMS or via USSD. Go to your phone’s message box and type using this format; *Default Pin* *New Pin* *New Pin* and then send to this number 777. For example, let’s assume the pin you want to use is 2468, then send the SMS this way 0000 2468 2468 and then send to 777. That’s all, now you should get a notification that your share and sell pin has been changed successfully. Just dial on your mobile phone this code *601*Default/Old Pin*New Pin* New Pin# and then send with the green call button. For instance, lets still assume the new pin you want to use is 2468, then dial it this way *601*0000*1234*1234#. Once everything is entered correctly, then MTN will notify you by saying the changes were successful. Also, to transfer MTN credit, you either use USSD or SMS method. Go to your text message box and type the following using this format; Transfer(You Give One Space)The Recipient’s Phone Number(You Give One Space)Amount(You Give One Space)Your Secret Pin. And send to this number 777. For example, I want transfer N100 money to this number 08168645149, and my pin is 2468 then, here is how I will do it. Transfer 08168645149 100 2468 then, send to 777. After sending the above as instructed, you will receive an SMS from MTN through 777 that you are sending N100 to 08168645149. Then reply the message by typing YES and send it to 777, If not send CANCEL to 777 to terminate the transaction. This one is simply, just dial *600*RECIPIENT’S PHONE NUMBER*AMOUNT*PIN# and hit the green call button. After that, you will be deducted and your recipient will be credited. MTN will also reply you with a successful message. NOTE: Using USSD code method, you won’t be able to cancel the transfer just like the above SMS method. Below are current 2017 MTN Tariff Plans that Share and Sell service On MTN Network is Eligible for. So if you are currently migrated to any of these plans then, you can enjoy airtime transfer. But if you are on Beta Talk, you can transfer credit so take note of that. If this happens to be the first time of you using airtel transfer service then, you will have to change the Default PIN that is 1234 to your own secret pin. To do that go to your phone message box and type: PIN(give space here)Old Pin(give space here)new pin now send it to this number 432. For instance, let’s assume your new pin is 2468, then type it this way to change the default pin to new pin; Pin 1234 2468 and to 432. Once you are done with changing the default pin to your own new pin from above then, go ahead to transfer airtime using the following method. Go to your text message box and type like this 2U (space) The Recipient’s phone number (space) Amount (space) Pin and send to 432 as an SMS. For example; 2U 08168645149 100 2468 and send to 432. After that, you will be deducted and the airtime will be credited to the Recipient’s phone number. Below are Latest And active 2017 Airtel Tariff plans that supports transfer of credit. So if you are subscribed to any of the plans, then go ahead and enjoy Airtel Me2U. 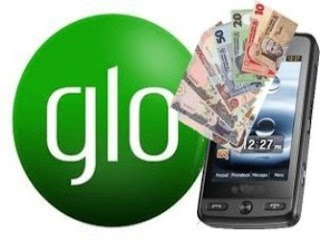 Codes For Borrowing Airtime Credits on Glo, MTN, Airtel and Etisalat networks in Nigeria. To set up Glo Me2u service on your line, the first thing you need to do is to Change or Create Glo Me2u Transfer Pin just by dialing this code using the provided format *132*00000*New Pin* New Pin# then send by clicking on your mobile phone Green Call button or via your smartphone touch pad call section. Note: GLO Transfer Default PIN is 00000. To transfer GLO credit/airtime, just dial on your phone *131*The recipient’s phone number*Amount*Pin# and then send. For example, dial *131*08168645149*100*22211#. Immediately after above step, GLO network will reply you with a message telling you to confirm the transfer by replying with 1 and to cancel press 2. Glo EasyShare is a service that enables all GLO customers to share call credit with anyone on GLO network. So you can send credit instantly to family members, friends and well-wishers. The following Glo Tariff plans are eligible for this credit transfer within the Network. Now check if you are migrated to any of these tariffs. If yes, then enjoy. The popularly known Etisalat Easy Airtime Transfer service, gives users/subscribers the opportunity to electronically transfer airtime from the existing credit on their prepaid account to any other Etisalat prepaid account. To set up this Etisalat Easy Airtime Transfer Service then, go ahead in using the following USSD command provided here. But before then, have it in mind that Etisalat default password is 0000. So change the default pin to your own personal pin, simply dial *247*0000*New PIN/Password# and tap on Send/Ok. For instance, the new password you want to use is 6565, then activate it by dialing *247*0000*6565# and Send/Ok. Ensure to secure the pin, as it can also be also be used to secure or protect other transactions and valued services like call barring. Since you have created a new PIN for your transfer, then proceed to send credit to someone on Etisalat network using the following USSD command method. So, in order to do that, just dial *223*Password*Amount*Phone Number# on your mobile phone, inputting the necessary details. For example, if you want to transfer the sum of N1000 airtime to 08168645149 and your new pin is 6565, then do it this way: *223*6565*1000*08168645149# then press Send/Ok. Below are the active 2017 Etisalat tariff plans for this airtime transfer. So check if you are already migrated to the bundle plans. Ensure to secure your various transfer PINs or password. Remember an already transferred credit is irreversible unless the user you sent the airtime transferred it back to you. This is applicable to all networks listed here. That’s all, on how to change and create airtime/credit transfer pin with short USSD codes for MTN, Airtel, Etisalat and GLO networks in Nigeria, cyprus, cameroon, ghana etc. Don’t enjoy alone share the information to your friends with below share buttons. Thank you.